The surprises are already flowing thick and fast in 2019 – messing with our perceptions and bending expectations. And leading the charge is pair of Triumphs that deliver way more biking talent than you might expect based on their style. The first of these big shocks fittingly boasts a pair of big shocks. With some of the longest travel Öhlins rear suspension we’ve ever seen on a production bike, the new Scrambler 1200 XE is a long-legged retro styled adventure bike that really ought to be compromised on the road, and off it. And yet it’s proved the complete opposite. The other Hinckley surprise is the Speed Twin. Bringing the name back to life after decades of rest, the new bike is based heavily on the Bonneville T120, but blends those retro underpinnings with modern styling touches and a more precise ride. As a naked street bike, it’s nothing short of superb. Triumph aren’t the only ones to be lobbing angry cats amongst the pigeons, either. Norton have announced a pair of great looking Atlas models – the Nomad and the Ranger – changing the nature of Norton overnight. While the last ten years have been characterised by superexpensive specials, TT racing, and the launch of the V4 superbike, this new duo make Norton a manufacturer for the masses again. The Nomad – my personal favourite of the pair – is just £9999, and could well be the perfect daily rider. And with CCM, Ariel, Gladstone and new electric bike firm Arc all surging into 2019 with exciting new bikes that celebrate everything from the distant past to the rapidly emerging future of motorcycling – the long-held assertion that the British bike industry is dead is proving rather inaccurate. The rest of the world isn’t doing badly, either. BMW, Ducati, KTM, Honda, and Yamaha are all bringing fresh temptation for the new year, and with PCP continuing to make them more affordable than ever, will you take the plunge in 2019? Real world tests of all the latest showroom fillers including 2019’s hottest new bikes. Your one-stop guide to the best new metal. Brush up your bike skills to get more from your riding including motorway overtakes, town riding, corners, junctions and track riding. 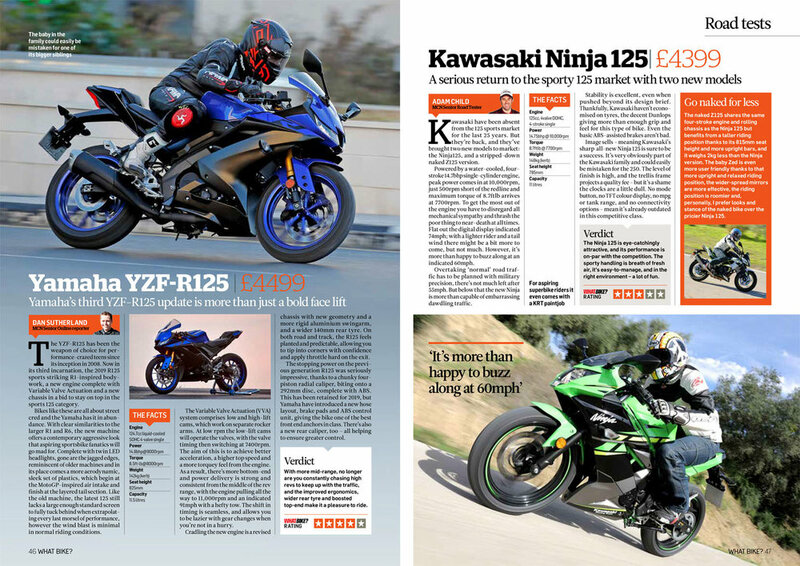 The UK’s most comprehensive new motorcycle guide – with expert reviews, ratings, pictures and prices of over 319 new bikes.